There are 24 hours in a day. 168 hours in a week. 8,736 hours in a year. We all have the same amount of time to work to earn an income, spend, cut back, budget, and invest. No one gets “extra time”. It’s all the same. But I’m sure you’ve heard someone else complain about their situation. Their bills are too high, they can’t afford to put gas in their car to get to work. So on and so forth. Many of these people also have a big screen TV, cable, and smartphones with expensive data plans. Seriously? You can’t afford to get to work, but you can afford $200 in extra service bills each month. Interesting. Don’t be that guy (or gal). Be different. Cut the crap you don’t use or need. Take that money and use it to better your financial situation. Funding an emergency fund or maxing out your Roth IRA is hard, but not if you sell a bunch of your stuff and cut back in other areas. Here’s how. Do you have a gym membership you never use? Or a magazine subscription that you don’t have time to read? Or… well, you name it. I could go on forever. Bottom line: there are probably some services in your life you don’t use, but you still hand your money over to a company. Or maybe you do use the service sometimes, but it isn’t a necessity. Cut that crap. Cut it now. Imagine being able to pay down your debt faster because you have an extra $100 per month from cutting your cable. Or $50 per month because you decided you could run outside rather than on the treadmill at the gym. We’ve all got these services. If you really don’t think you can fund an emergency fund, cut back until you can. Remember that HDTV I mentioned? And that fancy Blu-Ray collection? Yup, need to go. Get as much money for them as you can. Don’t have an HDTV? Okay, what do you have? A majority of you reading this have a lot of “stuff”, but no money. It’s a simple equation. Turn your stuff back into money… as much as you can. Then make sure you don’t turn right back around and buy back new stuff using debt. You can sell stuff on eBay, on Amazon, on Craigslist, or to your buddy at work. But raising funds for critical areas like an emergency fund isn’t hard. Even $1,000 to start your fund off is a good place to be. Sell $700 worth of stuff and cut back $100 per month on services. In 3 months you’ll be at $1,000 and a much better place financially. I’m not going to tell you being in this situation is fun, but you have a simple choice to make. Do you want to keep living the financial life you’ve been living, full of debt, anxiety, and being flat out broke? Or do you want to be different? Cutting back on crap you don’t use and selling your stuff is a quick way to be different. Right now. You spend money on services you don’t need or use. 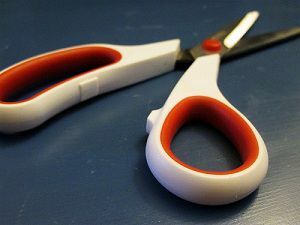 Cut them. Take the money you were spending on those services and pay down debt, save, or invest. Sell your extra stuff in your house to quickly build an emergency fund. You’ll be better off for it when that rainy day comes next week. Now this site is talking my language. Some may say I’m overly prudent sometimes but I see so much unnecessary spending everywhere I look, and I have to admit I get annoyed just observing it. When you think about it, if you can think outside the box and be aware of how the system works, that knowledge can empower you financially greatly. It’s a world where we work to produce the goods, for which we earn the salary to buy them, and it makes us a little more than slaves of consumerism. This site appears to encourage taking the unneeded things out and if we can manage that, then our finances would be greatly improved. I always remember a funny incident I saw when I was living in England several years ago. There was a man who had a very expensive although a little old red sports car. It was well looked after but he must of paid a tidy sum for it. He paid ahead of me and I noticed he only put in 2 GBPs worth of fuel in. After he left the lady that served me commented, “He comes here every night sporting jewelry and different girls on his arm, and he rarely has more than 2 GBPs worth of fuel”. I think it was a reflection of how something he really didn’t need was dragging down every other aspect in his life. Still had the girls though, that was puzzling.